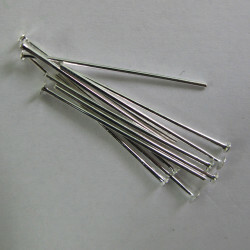 1" headpins. pack of 50. > Findings>Silver Colour Findings>1 headpins, pack of 50 pieces.